Two stellar Picasso shows are on view in New York galleries this month. Both are museum quality and contain loans of major original paintings, drawings and sculpture that you’ve probably seen in museums or art books over the years. Picasso & the Camera at Gagosian was co-curated by the artist’s friend and biographer, John Richardson and explores how Picasso used photography as a source of inspiration and also as an integral part of his studio practice. The show, which spans 60 years, includes 40 paintings, 50 drawings and 225 of the artist’s photographs. Many of the works are on loan from the Picasso family, private collections and major museums. 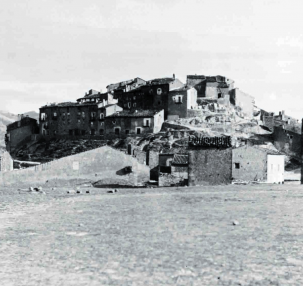 An example is the photograph of Picasso’s mountain retreat in Horta de Ebro, Spain and one of his paintings from 1909 of the same subject. Picasso worked from the photograph to create the blocked, jagged shapes he painted on canvas. 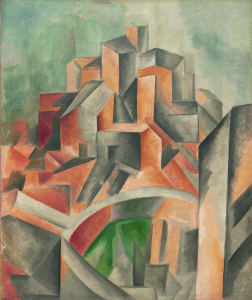 These early landscapes became regarded as the beginning of cubism. Throughout the exhibition are similar examples of photographic inspiration paired with paintings, drawings and sculpture. More on this show by Carol Vogel, New York Times. 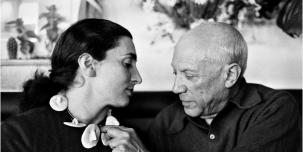 Picasso & Jacqueline: The Evolution of Style at Pace features nearly 140 works by Picasso created in the last two decades of his life while living with his muse, and later, wife, Jacqueline Roque. Accompanying the exhibition is a group of more than 50 photographs by David Douglas Duncan, a confidant of Picasso, who captured the artist at work and during private moments with Jacqueline. Many of the works are from the Picasso family and Jacqueline Roque’s estate and are on view to the public for the first time, plus other loans from private collections and major museums. Read more on this show and see a slide show of photos of Picasso and Jacqueline by Hilarie M. Sheets, New York Times. Jacqueline and Picasso. 2014 David Douglas Duncan. Estate of Picasso/Artists Rights Society (ARS), New York. Picasso & the Camera is at Gagosian Gallery, 522 West 21st Street, until January 3, 2015. 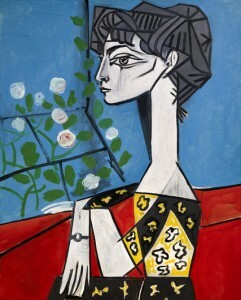 Picasso & Jacqueline: The Evolution of Style is at PACE Gallery, 32 East 57th Street and 534 West 25th Street until January 10, 2015. Security is high at both shows: Bags are checked at the door at Gagosian, photography is not permitted in either gallery and Gagosian had 15 hired guards posted throughout the gallery and Pace, 7. Catalogs of the shows are available for purchase at the galleries. This entry was posted in Uncategorized on 11/07/2014 by Jeanie Craig.